We all are aware of the PSL fever and the gigantic event that is just around the corner. Every heart out there is going gaga over it and every citizen is keeping an eye on the opening ceremony, and why not, Ye Khel Deewanon Ka Hai. 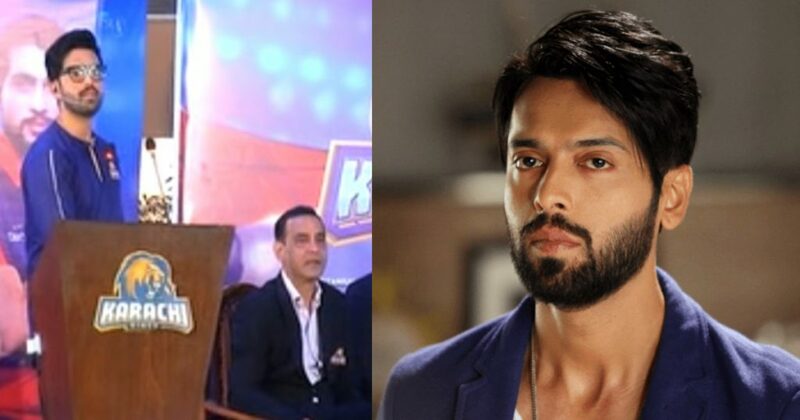 Recently, during the launch ceremony of Karachi Kings, the conversation between Fahad Mustafa and a SAMAA Sports Journalist quickly turned into a heated argument and soon it became a hot potato. The journalist accidentally called Fahad with the name “Fawad” and the actor seemed to not be really happy with it. Fahad replied, “Isi Liye Salary Nahi Milti Tum Logon Ko” and he wasn’t wrong by any means. We should really praise how Fahad kept his cool and was calm throughout whereas the journalist was really misbehaving with him. KUDOS to Fahad that he opted to handle the argument peacefully and also gave a tight slap to the journalist. He actually killed two birds with one stone. While it was very unethical from the reporter’s side and he should be taught some manners. One is amongst some respectable people and should know how and when to speak. You got the mic so you’ll say whatever you want? On the other hand, Wasim Akram, Salman Iqbal, and our coach just sat there enjoying the moment and having the time of their lives just like what our AWAAM would have done in a situation like this. They know they’ll be the next if these guys even speak a word. They’re smart, be like them. Looks like the journalist had Fawad’s new PSL song running in his mind and mixed up the names, and ended up digging his own grave. There is a vast purpose behind the saying, “Think before you speak” and it definitely makes complete sense now. What do you guys think about this spicy fight? Who do you think was at right here? So enjoy the video and do let us know in the comments below. Cheers!